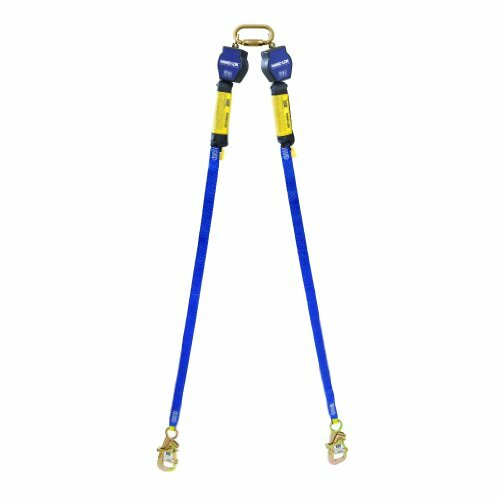 9-foot (2.7m) twin-leg tie back type with 3/4-inch (19mm) Dynamo polyester web and tie back hook, quick connector for harness (fixed D-ring) mounting. Nano-Lok is ergonomically designed for ease of use and is ideal for direct connection to most harnesses. The extremely compact and lightweight design is virtually unnoticeable on your back, staying out of the worker's way and making it ideal as a lanyard replacement. Whether your application requires single or twin leg configurations, mounting to an overhead anchor or for connection directly to harness, there are more than 30 models to choose from to suit almost any application. Nano-Lok locks quickly, stopping a fall within Inch, providing more protection at low heights. In addition, tension is always kept on the lifeline, which reduces dragging, snapping and trip falls. Both features are key safety improvements. About Capital Safety, the world's leading designer and manufacturer of height safety and fall protection equipment with 20 operating sites worldwide, is home of the DBI-SALA and PROTECTA brands. All of Capital Safety's fall protection and rescue systems are backed by extensive training, knowledgeable technical assistance and professional customer service.